When it comes to summer drinking on the go, it’s hard to beat the convenience of a can. Easy to carry, it’s also easy to toss out when you’re done. Whether you’re rafting, tanning, picnicking, or just hanging out in the back yard, a canned adult beverage is a perfect way to enjoy yourself. Only one problem — what if you don’t like beer? Or just don’t like it all the time? Until recently, you’d be hard-pressed to find many other options open to you. But recently, a crop of other alcoholic beverages, from wine to cocktails, have started popping up. In other words, our options on what drinks we get to enjoy on the fly are only growing and getting better. 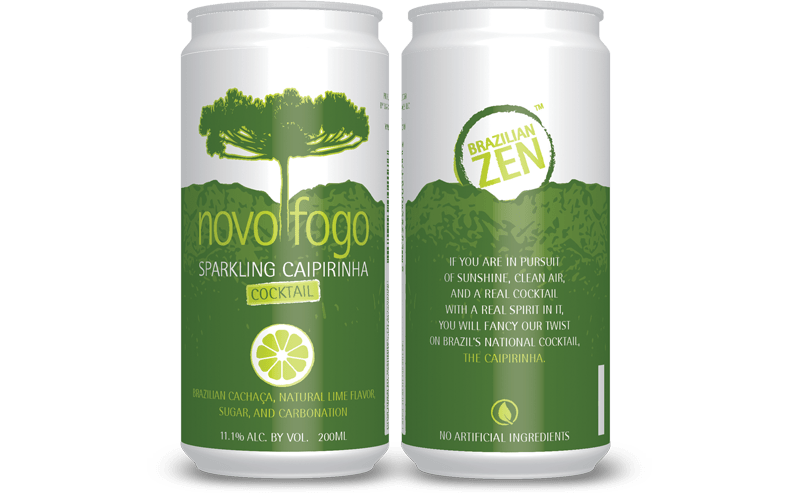 Brazil’s signature cocktail gets a bubbly twist, making it perfect for a can, in Novo Fogo’s take on the classic drink. Novo Fogo Sparkling Caipirinha, available in stores only.